Be sure to join us for this entertaining reception hosted by El Paso International Airport – a great start to the 2019 conference! 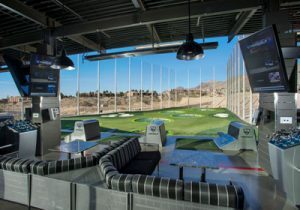 Join us at the 2019 Gala Evening at Topgolf, El Paso, the premier entertainment and event venue in El Paso with fun point-scoring golf games for all skill levels, upscale bar food and drinks, music and more! Topgolf is a game that anyone can play (and win). Score points by hitting micro- chipped golf balls at giant dartboard-like targets on an outfield. There’s no pressure to be good. Take a swing, score some points, have a laugh with your friends & colleagues. However you play, it’s sure to be a great time for all. And it’s a wrap! Say your farewells and we look forward to seeing you all again in San Antonio, Texas in 2020!